When looking towards the future of the transportation industry, success isn’t just a matter of having the latest equipment and good people. When looking towards the future of the transportation industry, success isn’t just a matter of having the latest equipment and good people. It’s what you know, who you know, and how you put it all together that helps your business get ahead. 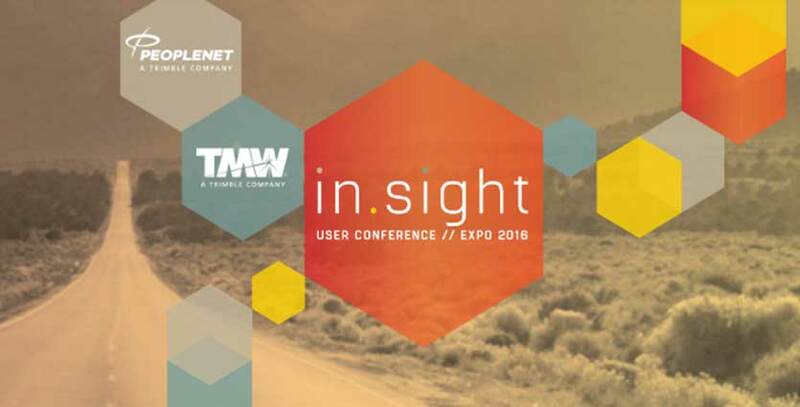 And that’s exactly what the 2017 in.sight User Conference // Expo is all about. Proudly brought to you by PeopleNet and TMW, we’re excited to give you a view of what tomorrow’s trucking intelligence looks like from all angles. Not next decade. Not next year. But right now. Don’t miss it! Featuring the smartest minds and innovators in the business, this conference gives you the opportunity to network and learn more about the “tomorrow” of the transportation and logistics industries. It’s an experience you can’t afford to miss.